Waves Audio has announced the release of Sibilance, Flow Motion FM Synth and Inspire Virtual Instruments Collection. Sibilance, powered by Waves’ Organic ReSynthesis technology, is a transparent vocal de-esser that removes harsh vocal “s” sounds fast and at high quality – allowing you to make your vocals sound brighter without harshness. 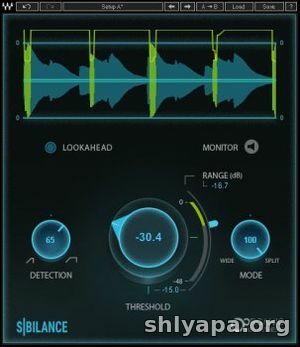 Thanks to its Organic ReSynthesis engine, Sibilance allows precise identification of unwanted sibilant sounds such as “s” and “sh,” resulting in smooth, glitch-free, effective de-essing that maintains the timbre, duration and natural resonance of the original vocal sound. 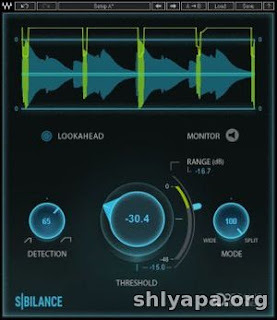 Fast, powerful de-esser specifically designed for vocals and voiceovers. Smooth, glitch-free removal of harsh “s” sounds. Treats sibilant parts of the signal without affecting the color of the vocal track. Easy-to-use threshold and sensitivity controls. Sibilance detector powered by Waves’ Organic ReSynthesis technology. Sibilance detection graph to help you visualize the amount of “s” reduction.